I am thrilled to announce that my monologue 18C and Me – or The Bigot’s Lament, has been accepted for Short + Sweet’s Top 80 Sydney 2016. The play was submitted on behalf of Sydney-based group Actor’s Anonymous Inc as an Independent Theatre Company (ITC). 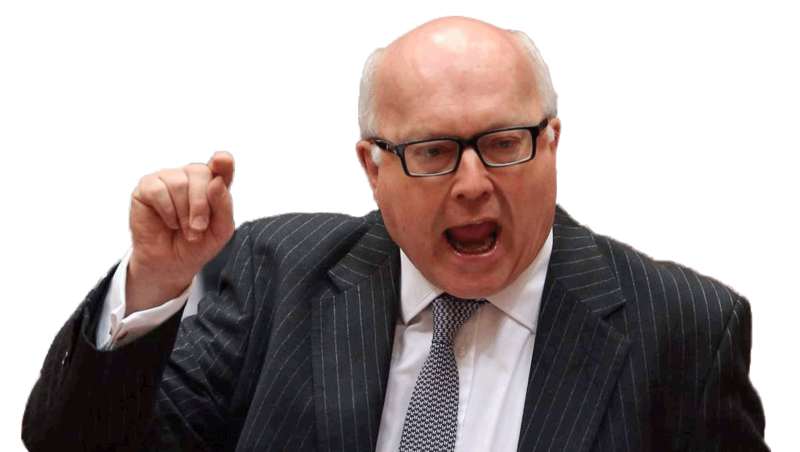 It will star James Adcock, who did such a great job in the role of George Brandis at Script in Hand in March this year under the direction of Vanessa Summerfield. James’s play, Maybe Baby, has also been accepted for the Short + Sweet Top 80, and was also submitted as an ITC on behalf of Actors Anonymous Inc, so he will be very busy this season. The plays will be performed somewhere between 6 January and 28 February (exact slot to be confirmed). My one-act comedy Supersnout! has also been accepted by Quids in Theatre in Aberdeen, Scotland, for its Lunchbox Theatre program on Saturday 27 February 2016. Quids in Theatre is Aberdeen’s only professional theatre company and maintains a policy of inclusive theatre. Supersnout! , a play about love, loyalty and deceit, premiered in 2012 as part of Hartwell Players’ One Act Play Festival, Four Slices of Fun Cake. It was directed by Joanne Watt and was nominated for Best New Script and Best Comedy at the Dandenong Ranges One Act Play Festival that year. 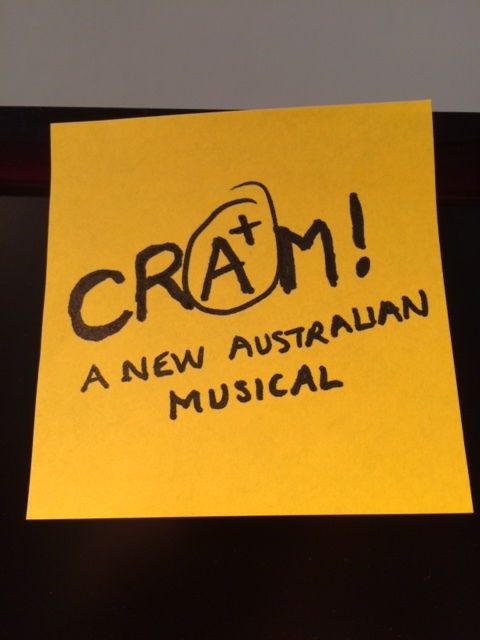 And I am also very excited to announce that on November 7 this year, Evolve Arts in Singapore will feature songs from the new musical Cram! (Book and Lyrics (and some songs) by me, Jane Cafarella, and music (and some lyrics) by Lachlan Davidson, at a musical theatre workshop for students, under the musical direction of TJ Taylor. Cram! is the story of seven Year 12 students who are cramming love, life and study into one crazy year to get that magic score that will passport to adult life – if only they can decide what they wanna be. Whether it’s VCE, HSC, IB or SAT, Cram! sets the ups and downs of Year 12 to music. The Evolve workshop will feature two songs and the first scene from the show. And last, but not least, my first full-length play, e-baby, will have its Sydney premiere at The Ensemble Theatre in Kirribilli, Sydney from 13 October 2016, directed by Nadia Tass, and starring Angie Milliken (pictured in my site banner). e-baby premiered in Melbourne at Chapel Off Chapel in March this year, with direction and dramaturgy by Anna McCrossin-Owen, and starring Carolyn Bock and Sarah Ranken. It also had a London reading at the So and So Arts Club at Fredericks Place on 14 July this year, directed by Pamela Shermann and starring Kat Rogers and Becky Hands Wicks. So, lots of drama happening this end.